The massive rise in new ransomware and malware variants, and the increasing sophistication of cyberattacks on businesses have been accompanied by unprecedented innovation at SonicWall, which has rapidly expanded its range of cybersecurity solutions in response to the growing demand for more powerful solutions. 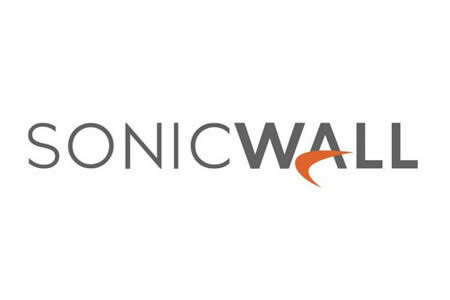 SonicWall has now released its new SonicOS operating system, which includes more than 50 new features to enhance security and is the biggest customer-driven release in the history of the company. The SonicOS (v6.5) powers SonicWall’s Automated Real-Time Breach Detection and Prevention Platform. The new release has enhanced threat API capabilities that allow businesses to automate security systems and incorporate third-party intelligence feeds. New wireless features improve connectivity for an increasingly mobile workforce and help security teams enforce their policies across the entire organization. Advanced networking and connectivity capabilities have also been introduced to provide uninterrupted threat protection for connected networks of all types and sizes. The new multi-gigabyte firewall accompanies the release of the new SonicOS and offers enhanced real-time breach detection and TLS/SSL decryption and inspection capabilities over multi-gigabit wired and Wave 2 wireless networks. The firewall supports multi-layer sandboxing that comes from SonicWall’s Capture Advanced Threat Protection (ATP) service. The NSA 2650 firewall supports more than twice the number of DPI connections and sees a 12-fold increase in DPI SSL connections. New and enhanced SonicWave 802.11ac Wave 2 wireless access points have been launched, which SonicWall claims offer best-in-class Wi-Fi performance, range and reliability. The company has also released a new SonicWall Cloud Analytics application that offers visibility into exactly what is happening on a network, providing insight and alerts on network activity and user behavior. The application monitors SonicWall firewalls and SonicWave wireless access points, analyzes data, and provides detailed security reports in real time. SonicWall has also launched a new operating system (version 12.1) for Secure Mobile Access which extends security to mobile users, no matter where they connect to cloud and on-premise resources. All new products are now available, with the exception SMA 12.1 and Cloud Analytics which will be made available in North America and Europe in early Q4, 2017.